It’s hard to believe this is the sixth year that I’ve been blogging! What started out as just a post here and there became a consistent practice — one that, when I don’t do it, I feel like something is missing. My favorite way to start every year is to share the most popular reader posts. 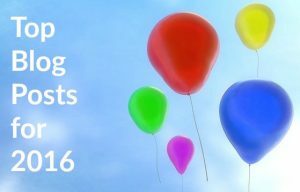 So without further ado, here’s the five top blog posts for 2016. It brings me lots of joy knowing that readers like you made it my top, most-read post last year! Consciousness is a complex topic and collective consciousness even more so. That’s what this post is really all about — how we are universally connected to each other. How the Universe is, in simplest terms, consciousness itself. The theory I refer to states that the substance of the universe is not composed of matter. Instead it is composed of consciousness. That consciousness is the “programming language” of the universe. What I most appreciate about this theory is the notion that, if you have a golf ball sized consciousness or awareness then that’s what you get out of the world. In other words, the more open you are to the possibilities of the universe, the more possibilities of the universe you will experience. I also enjoy sharing how this theory helps explain that there is no such thing “coincidence” because nothing is random in the Universe! If you feel like getting in the weeds with collective consciousness, this article is for you. I was inspired to write this post when two of my friends had a falling out. I’m happy to report that everything worked out just fine, but it was touch and go there for a while. Here’s the thing about writing this post. Even though I was inspired to write it to help my friends, in doing so I realized that I had really fallen down on the “managing friendships” job myself. I can’t say that my writing about friendship contributed to their mending (heck, I doubt either of them even read it), but it helped me immensely! Who knew there could be so many dangerous traps to ruin a friendship? In this series of posts, I talk about three reasons why friendships may wither and fade. More importantly, I tell you how to avoid losing friends you want to keep. For readers who have been with me a while, you know that I made a huge life change last year when I moved from North Carolina after more than 20 years to Texas. The transition has been a process and has required me to exercise lots of patience with myself and others. In this post, I share one of the ways that I stayed busy in the first moths after arriving at my new home and how I integrated myself in the community that I now call home. This is a topic I’ve blogged about before, but it is such a powerful sharing that I just had to share it again. Especially after the topic came up three times with three different people in just a few days’ time! What I enjoy about having written this post is that I was able to share real stories of how impactful understanding love languages can be in your meaningful relationships. And to make it more fun, I included a link to the online test where you can find out what your dominant love languages are in case you don’t already know! This post was just a few hits short of tying with #5 above, so I thought I’d include it as runner-up. Here I write about the most powerful shift that people can make to improve the level of joy and satisfaction they feel. Exactly! If you don’t know what it is, you’ll definitely want to click on over to discover it for yourself. Over the six years that I’ve blogged, many of my posts were tagged “From the Series: Life on Dog Hill.” Dog Hill was the name we’d given the Chapel Hill property where we lived for 12 years. All the posts in the Dog Hill series were personal, revealing glimpses of my life or that of my family. Some of them were funny, and some of them were embarrassing. What I most love about this post is that it was written just six weeks before I moved to Texas, and it was truly the last post to capture the essence of an important aspect of life on the hill — my love for gardening. And yes, that John Deere tractor in the photo was in MY name! What will my 2017 posts focus on? That’s a really good question. One of the business decisions I made last year was to expand with a new brand, a new community, that focuses exclusively on empowering women. 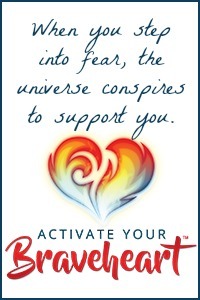 That community is called Activate Your Braveheart and was launched just before the Thanksgiving holiday. In that blog forum, I’ll be sharing a lot of my coaching philosophy which means that for SheilaCallaham.com you’ll read less about coaching and more about people, places, and what’s going on in my life. As always, I’m looking forward to what the year will bring, and I thank each and every one of you for being a part of it. Sheila Callaham is a best-selling author, speaker, and motivational coach. Connect with her on your favorite social media venue including Twitter and Facebook.